Marine Protected Areas and the habitats and species within them provide significant benefits to the economy and communities, including providing natural resources such as fish; beautiful places which people can enjoy; and services to people such as flood protection. These benefits provide services to people, and are known as natural capital. However, these benefits are threatened because marine natural resources are continuing to decline under increasing pressure from people. Government funding for marine protection is likely to be further limited over time, and alongside this, many uses of and damage to the marine environment are not being paid for. This means that we urgently need new financing models to provide stable, long term funding for MPAs. This is where the UK SEAS project comes in. 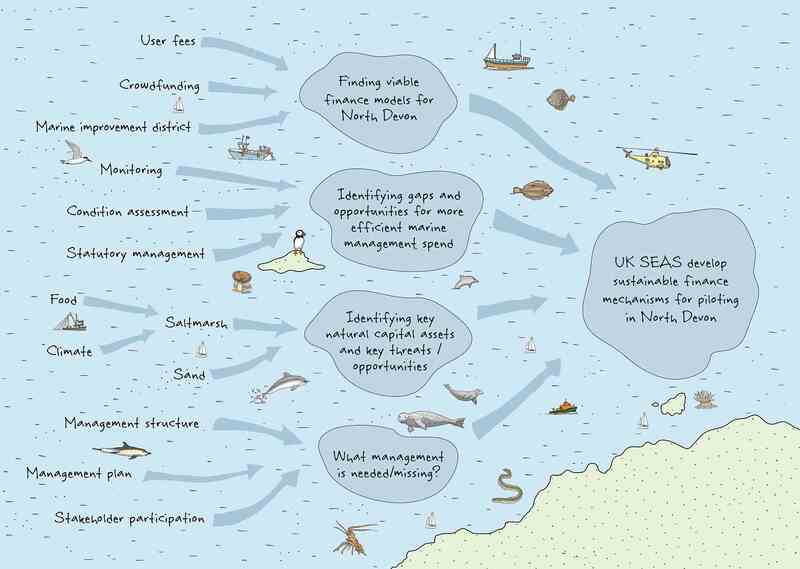 We will be identifying and trialling sustainable finance mechanisms in our case study areas, which integrate the services derived from natural capital into MPA management. We will demonstrate the feasibility of sustainable financing by piloting new solutions, and influence policy through identifying sustainable finance mechanisms that can be applied elsewhere and policy changes required to support these. We will also build support amongst private and public sector stakeholders to participate and support these mechanisms. 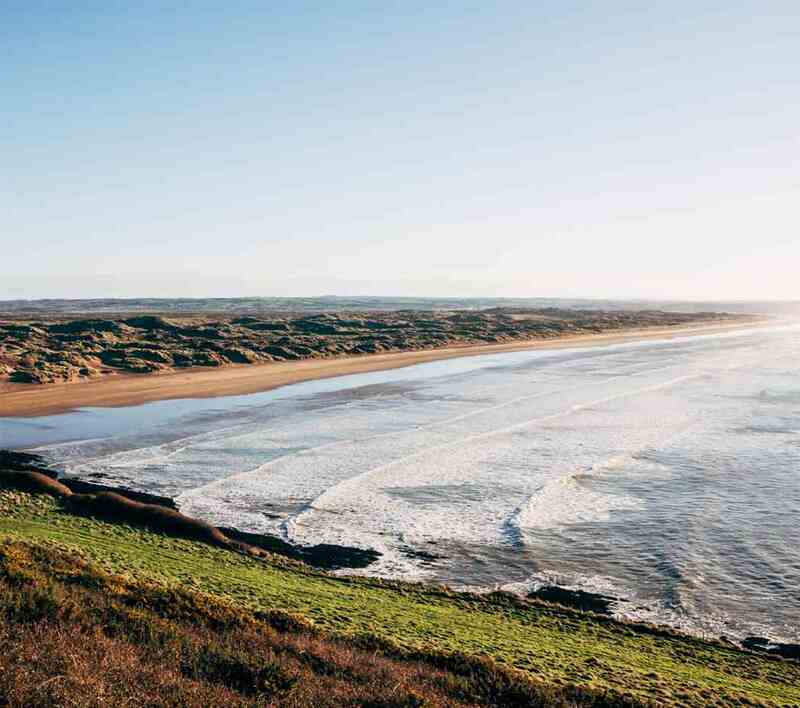 Are you looking for investment in a business, infrastructure or an initiative in North Devon that enhances the marine or coastal environment and/or enables marine-related businesses to operate more sustainably? Or are you involved in a sustainable marine-related business elsewhere (UK or overseas) that could be expanded to or established in North Devon with suitable investment? If you are, we would love to hear from you. The team at Environmental Finance (the UK’s leading environmental impact investment advisor) is working with WWF to help support the protection and sustainable management of North Devon’s seas and coasts through investment. Our experts could help you to develop the project concept and, potentially, secure the investment you need. Responses by Tuesday 30th April will be prioritised, though we would be interested in hearing from you at any time after this date. We will keep you updated on future meetings for Sustainable Finance. This list will be updated when meetings are taking place.